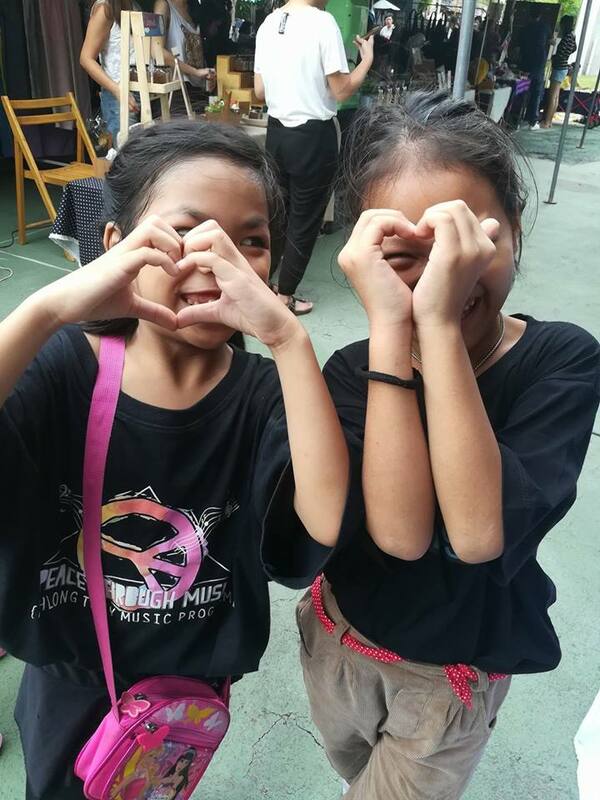 The children growing up in the Khlong Toey communities face daily challenges and obstacles typical of the slum areas: violence, poverty, blended families, drug addiction, lack of opportunities to mention just a few. 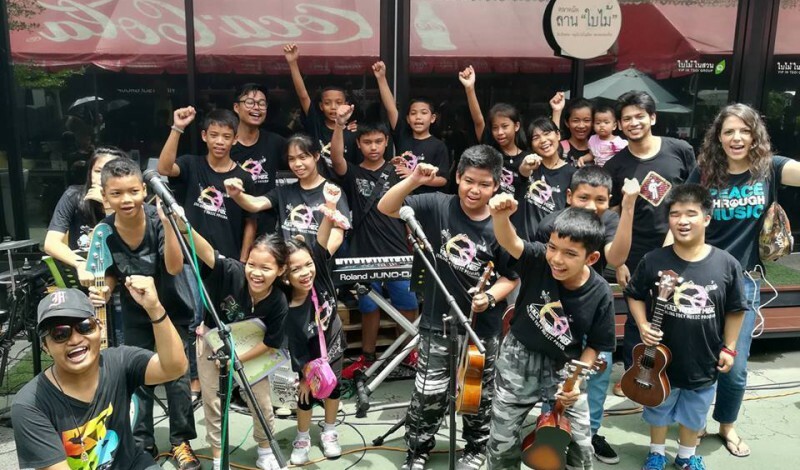 Khlong Toey Music Program (KTMP) seeks to create opportunities for these children, open their mind to the world and its possibilities through teaching them a life-changing art, starting by effectively keeping them away from the street through regular lessons. 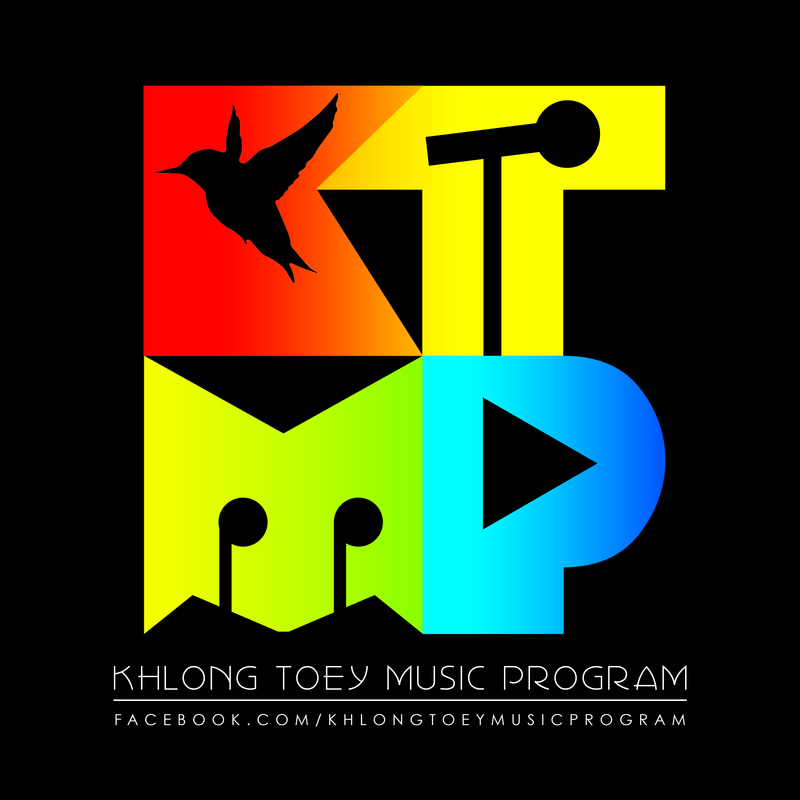 Created in October 2012, Khlong Toey Music Program (KTMP) aims at empowering the underprivileged children of the Khlong Toey slum communities through music and art education. 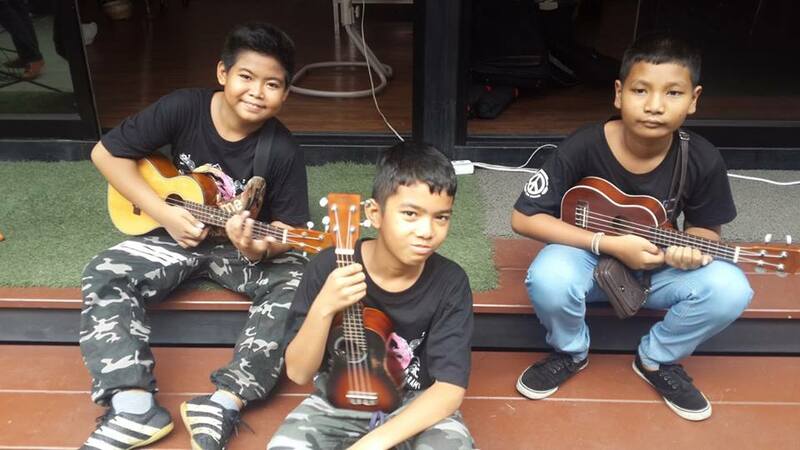 Located in a 5-storey building in the middle of Khlong Toey, KTMP teaches music twice a week to about 30 children, and holds various workshops (art, capoeira, yoga, sport) organized by volunteers. 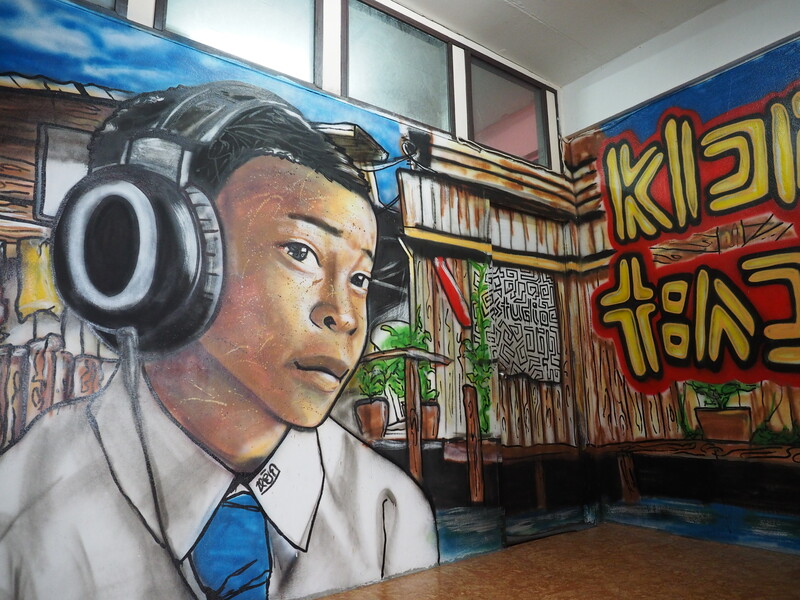 More than a music school, KTMP provides a safe and uplifting space where the children can grow and express themselves while staying away from the street and its vices. 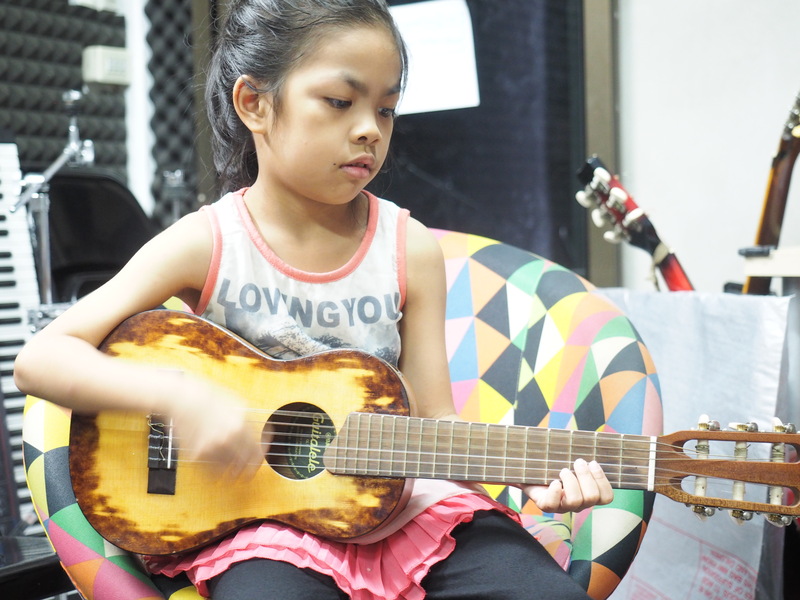 In addition to teaching music and other activities on a daily basis, our ultimate goal would be to help our students to follow their dreams and create their own future by giving them access to educational and professional opportunities. 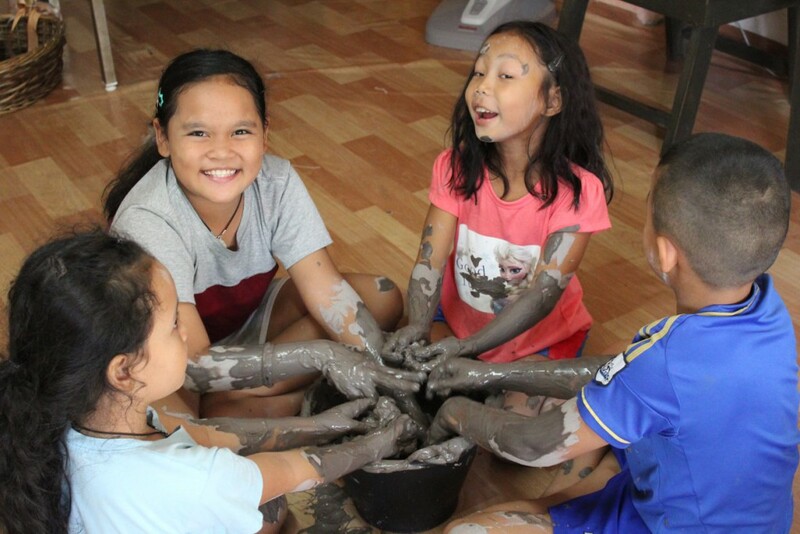 Our first and most urgent priority is to keep the children out of the street by offering them activities they enjoy in an environment where they feel safe. 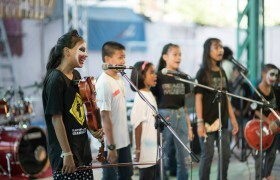 Music is our main tool but we are hoping to expand to other activities in order to target a larger number of children. 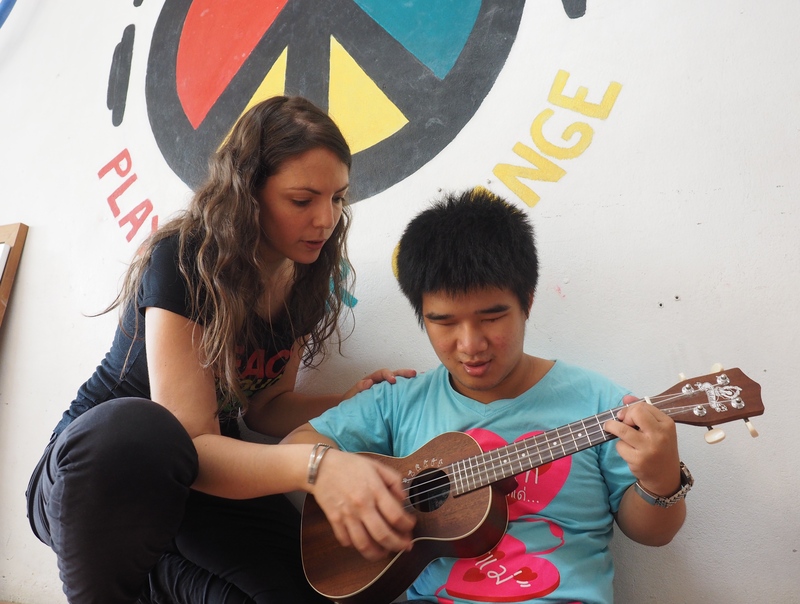 Today we are helping about 30 kids by teaching music twice a week, and capoeira twice a month. In the future we want to target at least one hundred children. 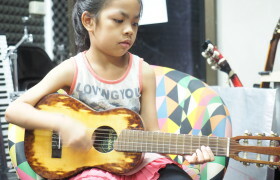 Every baht of your donation will go to hire an art teacher for one year so to expand our program and target more kids (potentially about 15 more children, as some of our music students also want to learn art). 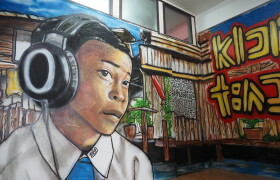 The teacher would come 3 hours a week, paid at 300 baht per hour, which would cost approximately 43,200 baht per year. The class room would be for 30 children. 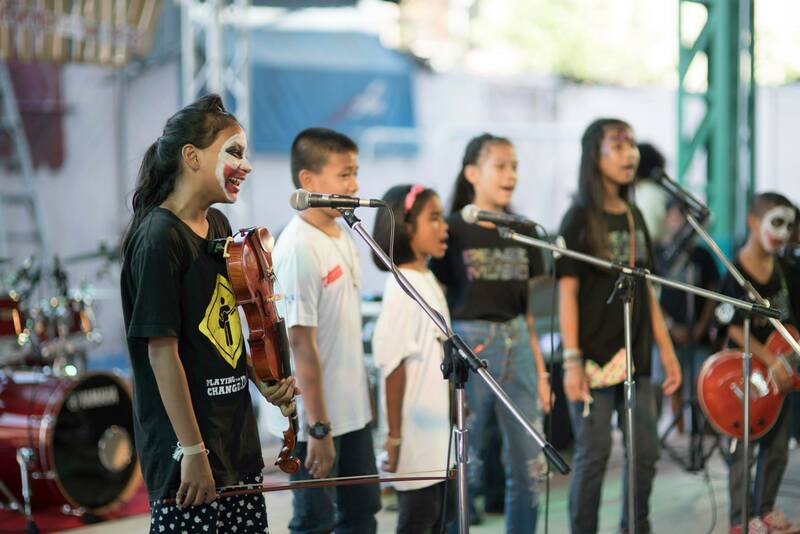 So every 1,440 baht can provide art education for 1 child for 1 year. 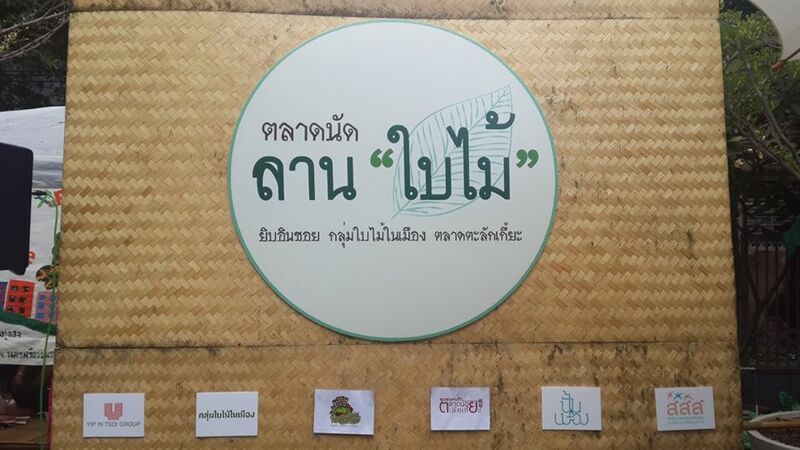 If per month, 80 baht per child. 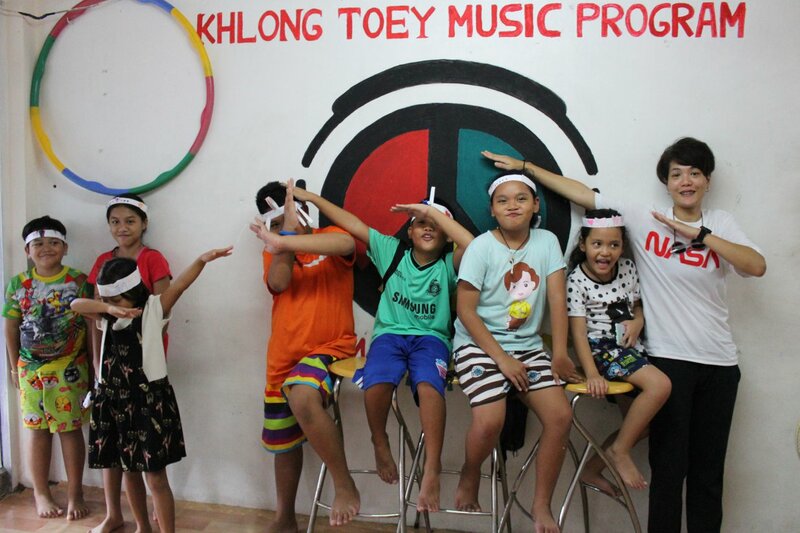 We are now fundraising for Khlong Toey Music Program. Please show your support by donating to the project. Meanwhile, here are some updates on the project! KTMP has used the funding to provide more leaning facility and hire volunteer teachers for a new art class. They welcome 20% more children who are eager to learn and interested to attend the class. 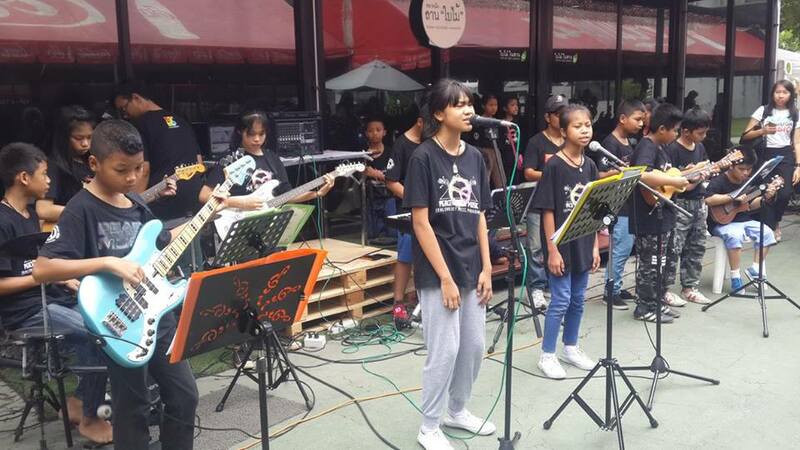 The stage is open for the children from Khlong Toey Music Program to sing songs at Kaidee market. 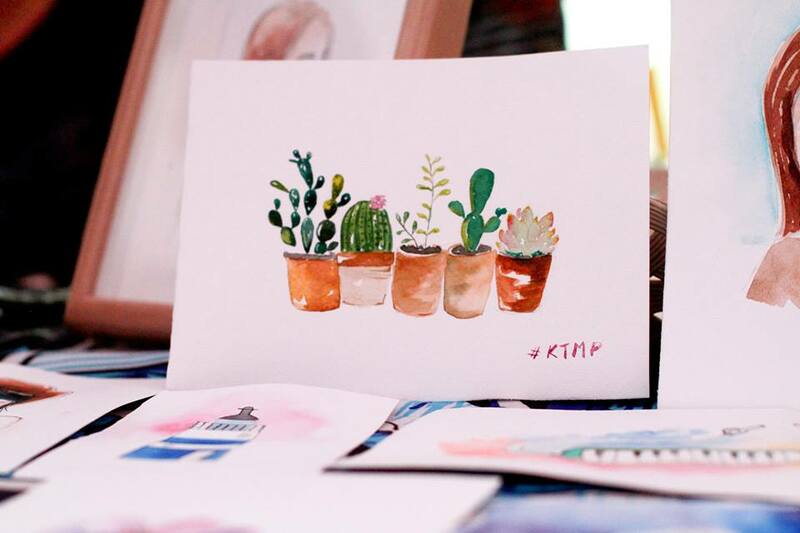 Tong Tong, our lovely illustrator, also joins the event and brought her hand-painted ukulele for sale. 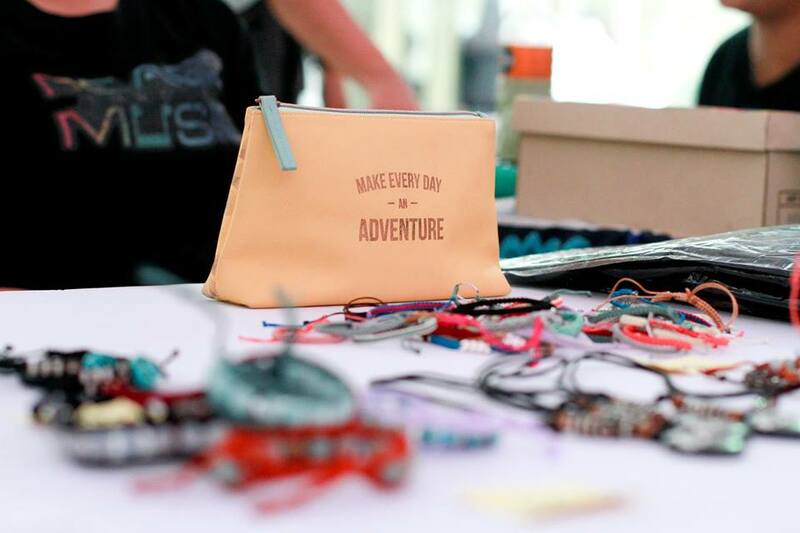 100% profits go to support #GiveBackWithMusica campaign. Join Socialgiver, Kaidee.com and 8 famous artists, musicians and celebrities in giving back. 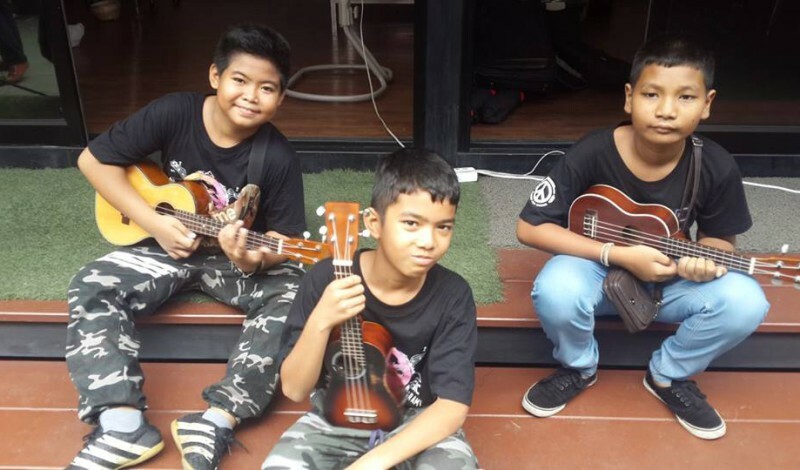 You can help provide opportunities for disadvantaged children living Khlong Toey slums (through Khlong Toey Music Program) to learn music, grow their talents and follow their dreams. 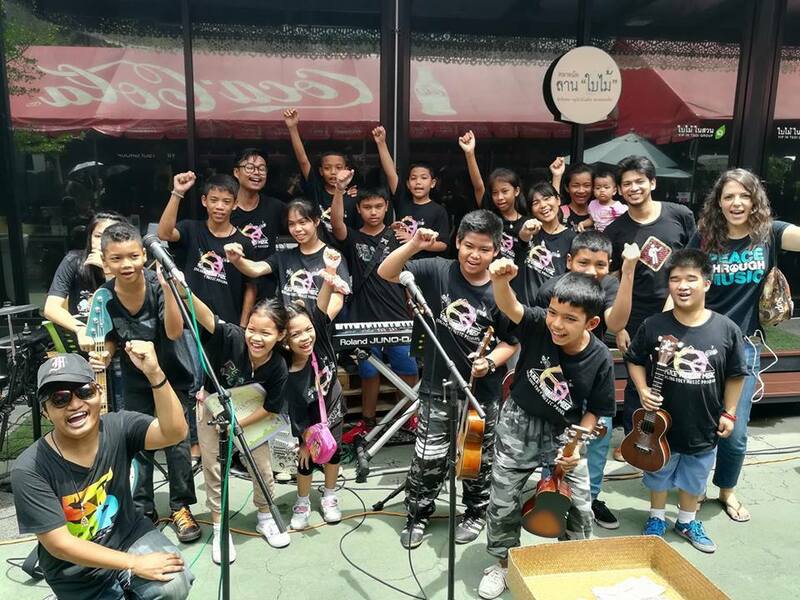 Face with Khlong Toei community’s children who explore helping by the music playing to give happy together with the TV team KonMunPunAsa live on Sunday 23rd July 14:00-15:00 Modernine TV channel 30. 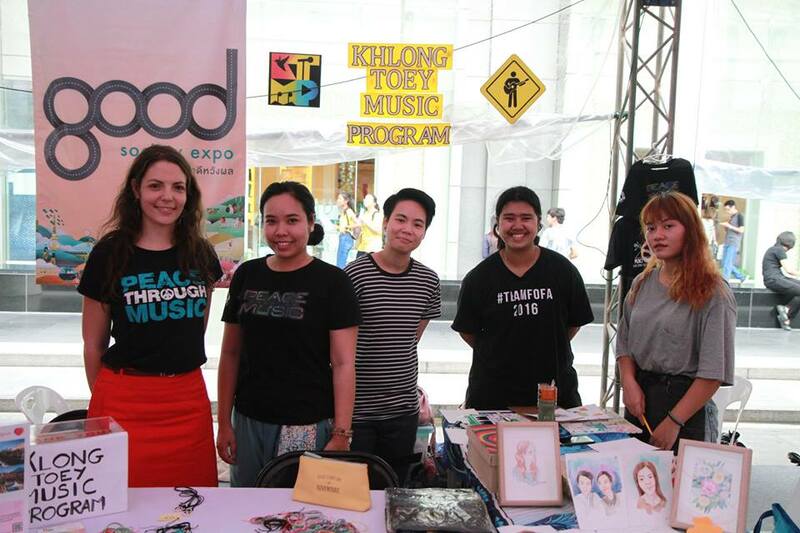 Khlong Toey Music Program (KTMP) brings the team to the Good Society Expo 2017 at Central World. “Good Society Expo” was developed from the Sharing Society Festival (Khon Thai Khor Mue Noi), which was originated based on the fact from several researches, including “Khon Thai Monitor”, that a large amount of Thais are prompt to join social activities but do not know where or how to start. 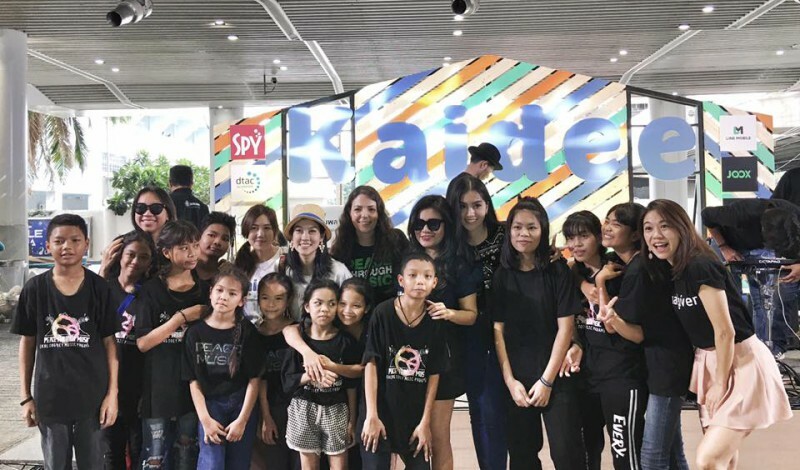 The main purpose of the expo, first time of a kind in Thailand, is to strive for results by collaborating among networks in the various areas of social movement and the general public. This is to confirm that everyone can be the “Active Citizen” in helping tackle the social issues. 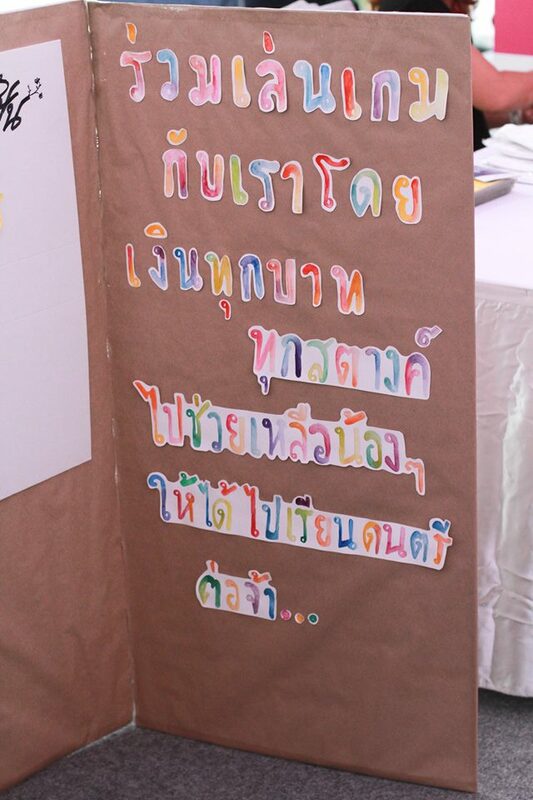 The “Good Society Expo” is a collaboration of more than 50 social organizations including Socialgiver. 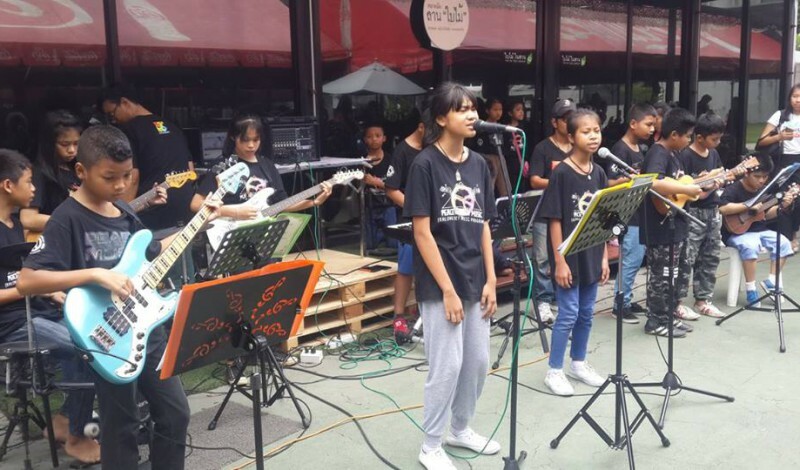 Of which the Khlong Toey Music Program (KTMP) joins the booth to raise awareness for the project as well as fundraise for the cause via selling their merchandise and charity games. 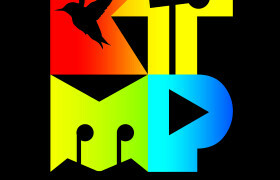 At the event via charity game, in the total of 3 days, KTMP was able to raise 2,433 Baht. 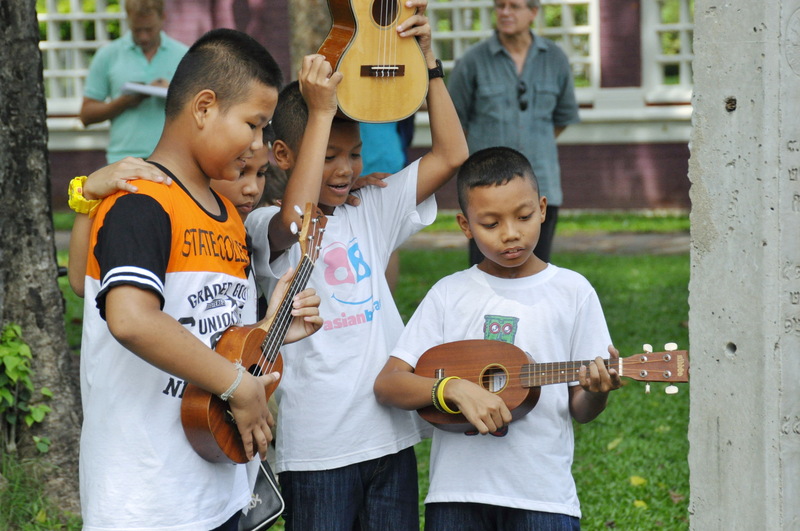 UPDATE: Get to know Khlong Toey Music Program!